Robert Campion looks to be leading the way here in Flight B with three more levels until the end of this starting flight. Players have returned from break and will play three more levels before bagging up chips for tomorrow's Day 2 session. 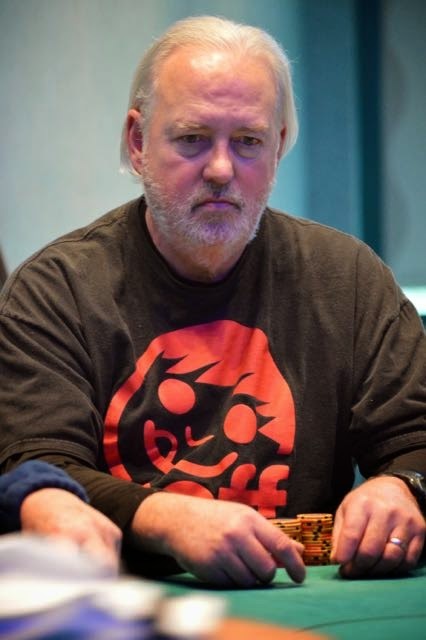 With just over 75 players remaining in the Flight B field we expect to see just about half of them "survive" the day and one of the players that shouldn't have a problem making it to tomorrow is Robert Campion (Stony Brook, NY), who is one of the only players up and over the century mark, currently playing close to 115,000 chips. Campion was one of the many players in this second flight that failed to bag chips in Flight A and it looks like his second chance has paid off as he's clearly enjoyed a better run of cards and looks poised to continue that run into Day 2, where he'll hope to make his first cash of the Card Player Poker Tour series. Campion had some moderate success on the regional tournament circuit to end 2014, notching scores at two major Borgata series, including a $7,700 score for a Final Table run, as well as the Foxwoods Mega Stacks Challenge, but he's still looking to notch his first "big" breakthrough score, something that we've seen plenty of players do throughout the first half of the CPPT. Some other notable stacks include Ryan Eriquezzo, Soukha Kachittavong and Andrew Lauer who are all up and near the 90,000 mark. The Flight B field is now halfway through Level 12, meaning that they are just 15 minutes from their final break in this starting flight, as they will return to play three levels, Level 13-15 and then the remaining players will bag up chips for tomorrow's Day 2 restart. If the figures from our last post check out, that means we will still have to lose close to 45 players to reach our estimated number of 35 players advancing to tomorrow, which makes sense as the pace from Flight A was more or less similar in terms of field size at this point in the tournament. When the players return from their last break of the day we will bring you a list of the chip leaders in the field, setting the stage to see who is going to bag the biggest stack coming out of this starting flight. The official numbers are in for the Flight B session of the $75,000 GTD Event 7 and the field has returned from break frozen at 198 entrants. That puts the total number of entrants for Event 7 at 414, with those players generating a prize pool of just under $145,000, nearly doubling the original guarantee put on this event. Now, while those numbers might be "important" they don't mean much to the players in the field, as many left Flight A wondering "how many players will be in the money?" and "how many will advance to Day 2 from both flights?" Below we'll try to tackle those answers with some simple math and when the dust settles at the end of Flight B, we'll see how close, or far, away we were from the actual numbers come tomorrow. Using some basic high school algebra we are able to conclude that around 34.8 players will advance to tomorrow's Day 2 from Flight B, or, simply, 35. Now, in terms of players making the money, that's going to generally be between 10-12% of the total field, so, anywhere from 40-45 players will be cashing in Event 7. That means, with 38 players returning from Flight A and 35 players returning from Flight B, that 73 players will return tomorrow, with just over half of them finishing "in the money". The above numbers, much like any number other than Final Table counts that we provide are all "-ish", give or take a few either way. Again, those numbers are all just estimates, assumptions and slightly educated guesses, but they should be close to the actual numbers and give players that bagged earlier and that are looking to bag tonight an idea to what they should be looking at moving forward through Flight B and beyond. In a field of close to 200 players, it's not likely that you'll get a table full of "notable" even "good" players in the early levels, but it happens from time to time, as it did earlier today when we had a stacked should be "feature" table to our direct right to start Flight A. It's happened here again in Flight B as Table 8 is home to the last two major champions crowned through the first half of the Card Player Poker Tour series, Foxwoods regulars Marsel Backa, winner of the $100,000 GTD Event 1 and Teddy Geddes, winner of last night's Event 5. 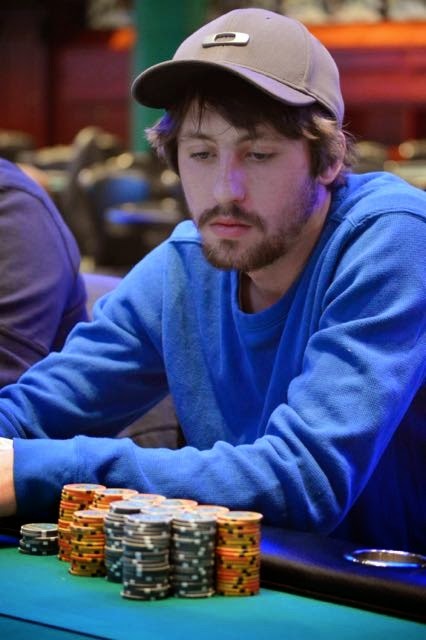 Joining them at the table is Alex Umansky (Scarsdale, NY) who despite only having one rated score to his name, is a Borgata Poker champion, after winning a $100,000 GTD event during last year's Fall Poker Open. While his table draw to start Event 7 will surely be a difficult one, he's beaten a tough table draw before, as the "amateur" outlasted tournament professionals Roman Valeqstein, Robert Pantich and Aditya Prasetyo, who has multiple poker titles, including a WSOP Circuit win at Foxwoods, to claim his first ever poker score and title. That championship run lasted until the early morning hours and when we ran into Alex this afternoon we joked that while tonight has a set stop time, after Level 15, tomorrow could potentially be another late night if he hopes to claim another poker title, something he sure hopes is the case here at the Card Player Poker Tour. There are just over 15 minutes remaining in Level 8, meaning that the late registration period will be ending shortly and when it does when the players return from their post-Level 8 break, we will bring you an updated player count and finalized pool for Event 7 in it's entirety. Adrian Scarpa will enter Day 2 with one of the bigger stacks remaining in Event 7, after bagging 283,000 in Flight A. Flight A of the $75,000 GTD Event 7 is officially in the books and while there are four big stacks ending the day over the 200,000 chip mark, it was touch and go to see who would bag the biggest stack from this starting flight. A half hour ago, it looked to be Joe Kosko, but after a move to the "feature" table, he stumbled and would only bag 217,500, still good for double the chip average. Then it looked like another player at the "feature" table, as Peter Tripp quietly bagged 278,000, good for a top three stack. Then it looked like Adrian Scarpa would end the day on top, as he won a massive pot with just a few hands remaining when his [Kd][Kh] held against the top pair and straight draw of an unknown player to end him with just under 285,000 chips. But, on one of the last hands of the night, it would be Chris Renaudette bagging up the chip lead, posting 289,000 and while we missed the action of the hand that scored him his late massive pot a player at the table that both he and Scarpa were seated at could be overheard saying, "Not a bad time to run hot huh?" Certainly not, as both players entered the last level of play with just over the chip average and will end the day sharing the spotlight as our top stacks to come out of Flight A. 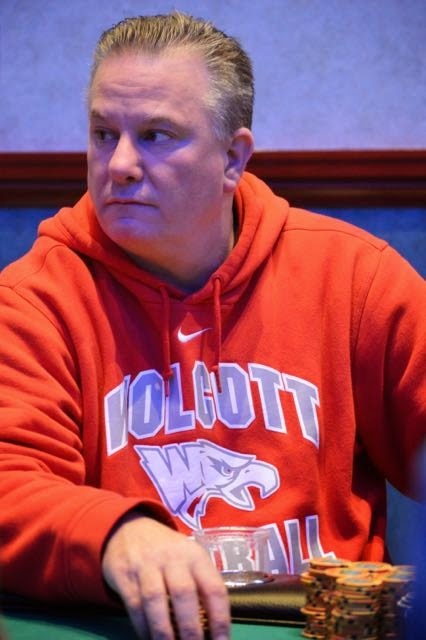 Plenty of other "notable" players were able to bag up chips, as well as a bunch of new faces to the Card Player Poker Tour, including Sammy Gilly (174,000), Jeremy Barcello (162,000), John Vohs (129,000), Eric Siegel (108,000) and Brad St. Vincent (107,000). Plenty of short stacks will have to "run it up tomorrow" including Ralph Macri (50,000) and Johnny Rodrigues (46,000) who will return to tomorrow's Day 2 session with close to 15 big blinds. In all, 38 players advanced to Day 2 and they will join the players currently playing in tonight's Flight B session, with both flights combining and starting play tomorrow at 12 PM to play down to an Event 7 champion. There was talk of "how far from the money" everyone will be when play resumes tomorrow and a quick estimate of the Flight B field shows that we'll likely hit the same number of players between 200-225 for this night flight, meaning that anywhere from 40-45 players "should" cash in Event 7. All of this is not binding as it all depends on the finalized Flight B field, a number we should have within the hour as those players are moving into Level 7 momentarily. The Foxwoods Poker blog will continue to bring you updates from that second flight and will post a complete list of chip counts and seating assignments tomorrow morning before the start of Day 2. 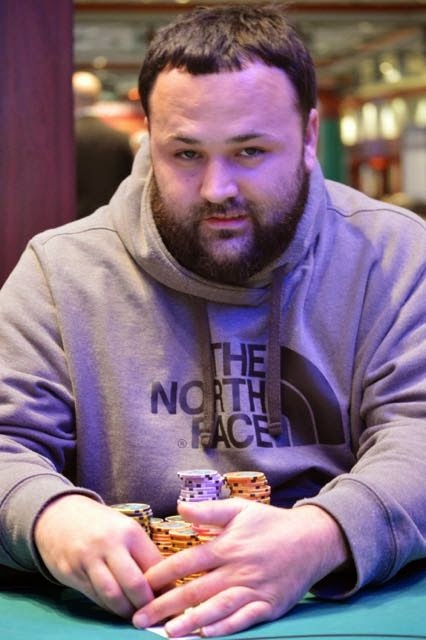 During yesterday's play around the bubble, there were three players looking to make their second consecutive Card Player Poker Tour scores, as Nick Palma, Chris Leong and Daniel Lobel had all cashed in the $100,000 GTD opening event of the series. Leong would unfortunately bubble Event 5, but Palma and Lobel would make the money, with Palma making the Final Table, and both are looking strong to make a push towards their third straight CPPT cash, especially Lobel who is playing close to 80,000 chips with just under an hour left to play in this opening Event 7 flight. 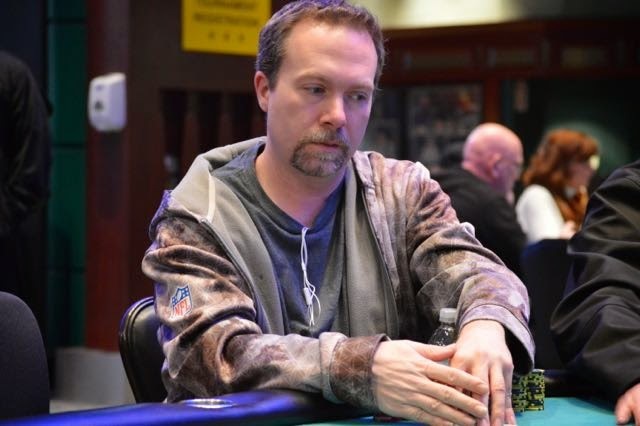 Lobel has managed to accumulate an above average stack despite being stuck at a tough "feature" table that includes Foxwoods and poker champions Ryan Eriquezzo, Raj Patel, Eric Siegel, as well as James Freebody, who Final Tabled yesterday's event. He's obviously continued the solid play we've seen from him earlier in the series despite this tough table draw, as Lobel has already made two of the biggest cashes in his tournament career this series and he could potentially be making Card Player Poker Tour history as he looks to collect his third straight cash, something that will be made easier with a continued push and a strong Flight A finish. The other players at that "feature" table are also well stacked as Eriquezzo holds just under 70,000, Freebody holds just under 100,000 and Siegel and Patel are working near the chip average. While much of the Northeast and New England areas are preparing for another big snow storm, perhaps going to the store and buying up all the "necessities" to get themselves through the upcoming storm, Joe Kosko (Southington, CT) is buying something else in bulk in preparation for Event 7's Day 2, currently sitting with the biggest stack in the room as he's near the 250,000 mark. Kosko had quietly been building his stack in the back of the tournament area, using some aggressive pre-flop play to take complete control of his table, bossing the action with ease. As is the case with someone who is constantly getting into pots and forcing the pre-flop action, when Kosko finally had "it" he got paid off in full, as a smaller stacked player moved all-in and Kosko snap called tabling [Ks][Kh], having the other player dominated with [Qh][Qd]. The board would run out clean for Kosko, who's "loose aggressive" image certainly got him maximum action and a maximum payoff in that hand. Kosko's tournament resume has been quiet as of late, but it was anything but a few years ago, as he won back-to-back Foxwoods Poker titles in 2012, winning a Mega Stack Challenge XXIV Super Bounty event and then a Memorial Day Holiday tournament, with those two scores totaling just over $12,000, good for half of his career tournament earnings. 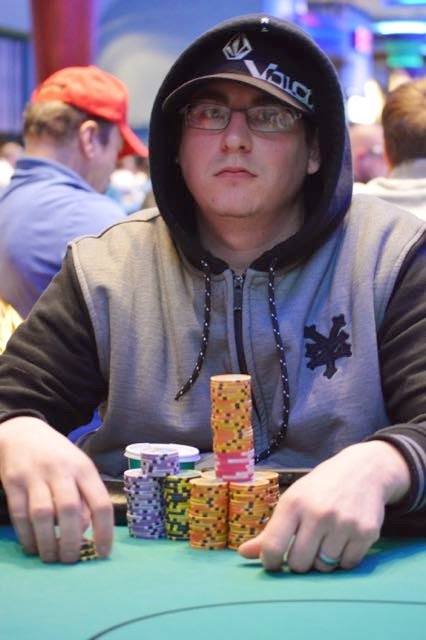 Nearly all of Kosko's live rated results come from major Foxwoods events and while he's cashed in nearly every Foxwoods series offered, he's yet to notch a Card Player Poker Tour score, something that we fully expect to see him make here in Event 7 if he continues to bulk up his stack. Players are about to enter Level 14, meaning there is just over an hour left in this Flight A session. 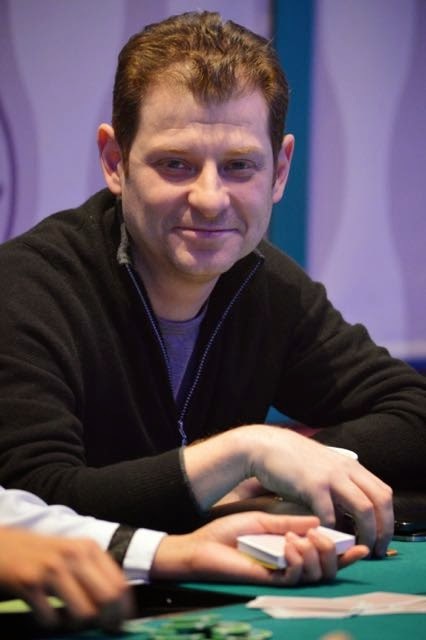 One of the more recognizable notable players at a handful of Northeast and Mid-Atlantic Poker Rooms is Eric Siegel (Dix Hills, NY) and not only because of his extensive tournament resume, but also for what he's done in terms of marketing and growing the game throughout not only the East Coast, but throughout the world. Siegel is the Director of Marketing and Player Development for Poker Players International, a poker marketing agency that works with some of the world's best players and biggest tournament series, while increasing the over experience of poker for all players. Ultimately, their goal is to improve the poker industry in every respect. Seigel and PPI were also some of the first people to bring "live reporting" and "live blogs" to these East Coast poker rooms, giving both the rooms and players an added marketing reach and nearly unlimited growth potential. They do much more than just promote the game of poker though, as they also have been the brains behind some of the most successful charity effort in poker, heading Poker Gives, Bad Beat On Cancer and All-In For A Cure, which combined have raised millions of dollars to help people and families battling life threatening illnesses and hardships. Siegel and the people of PPI clearly know what they're doing off the felt, but Siegel knows what he's doing on it as well, as he has close to $500,000 in career tournament earnings, with two Foxwoods titles to his name, as well as multiple titles from other casinos, including a WSOP Circuit victory from 2010. Siegel and the rest of the Event 7 Flight A field are now on their final break before they bag and tag chips at the end of Level 15 and regardless of whether Siegel is able to bag up and advance to tomorrow's Day 2, he and PPI will certainly be on our watch as they continue to grow and market the game of poker. Let the overlap begin, as Flight B of the $75,000 GTD Event 7 is now starting on the other end of the Foxwoods tournament area, with close to ten tables set up, ready to receive players as they try to punch their ticket to Day 2 of this massive guaranteed event. We expect to see this second flight get relatively the same size field as the earlier Flight A and will be continuing to update you on the field size of Flight B, while bringing you some "look ins" to see what notables have chosen the second starting flight. For now though, the focus of the Foxwoods Poker blog will continue to be on the first starting flight, which is mid-way through Level 12 and just fifteen minutes from it's final break of the day before bagging up chips after Level 15. 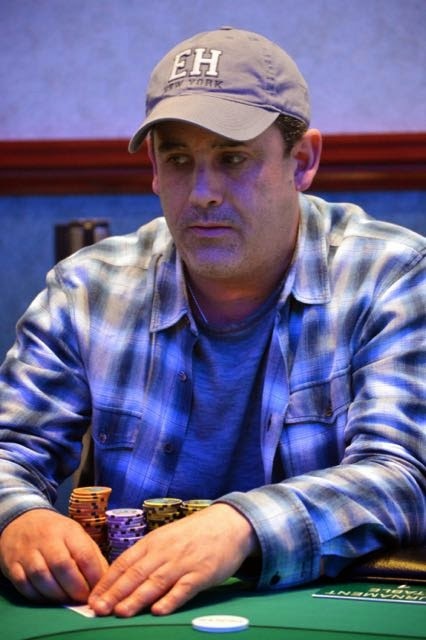 We're now down below the 100 player mark for this opening Flight A session and while there are a few players with "big" stacks developing and many playing well over the chip average, the player leading the way with over 100,000 chips is a familiar face from this series, Brad St. Vincent. St. Vincent finished in 2nd place of the opening $100,000 GTD Event 1, making one of the bigger scores of his career as he chopped, making just over $30,000 in the process. He took yesterday off, but has returned today, continuing his stellar play that saw him start this series off with a massive result. 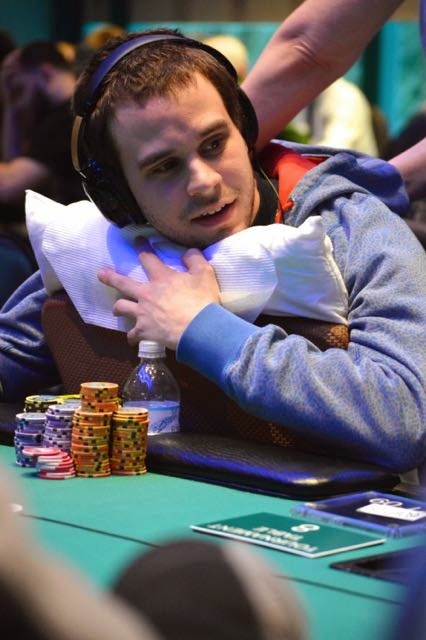 St. Vincent, a two time Foxwoods Champion, is one of the only players playing over 100,000 chips and while some players are tensing up as we enter the "proving" levels of Flight A, where the majority of the remaining field will be trimmed, he's completely relaxed, enjoying a massage while more or less bossing his table with the chip lead. If St. Vincent can keep chipping up, it might just turn into a completely stress free day for the young tournament pro and even if he isn't able to continue his quick start to this flight, he returned for Day 2 of Event 1 with just under 10 big blinds and managed to turn that into a deep, deep run, so regardless of his stack or the situation, St. Vincent always seems comfortable. We are just a few minutes from the start of Flight B and when they are ready to "shuffle up and deal" we will kick off coverage from that flight, much like we did with the first flight, just updating you on player count and field size through the early levels up until the late registration period. 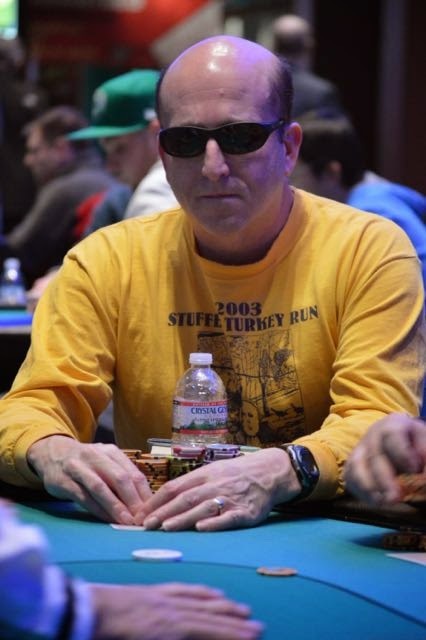 We've referenced a few defending Card Player Poker Tour Champions so far this series, all looking to defend their crowns here in 2015 and while none of them have been able to do that just yet, Mark Martin (Keene, NH), is here to defend his friend's title from the 2014 CPPT, well kind of. Mark's friend Andrew Gallen won the Event 4 title last year, but as many of you that have been following the CPPT action all week know, Event 4 was cancelled due to the the last snowstorm that swept the area, so Mark was unable to defend that title for his friend who couldn't make it to play this week. Instead, Mark spent Monday enjoying the casino, playing some cash and is now trying to defend his friend's championship performance from last year by bringing home a CPPT trophy of his own, as he's in the Flight A field of the $75,000 GTD Event 7. 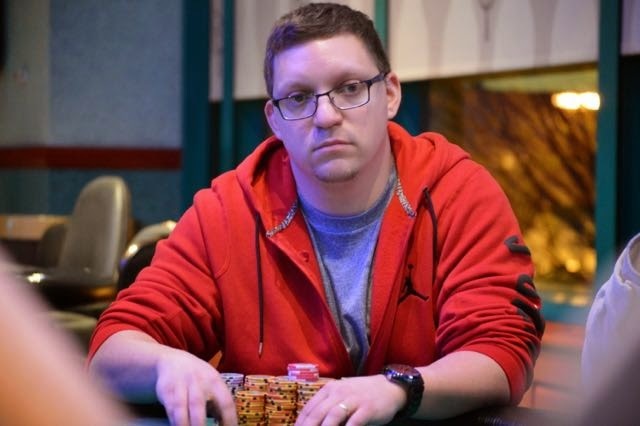 Mark is playing just over the chip average and while his tournament resume might not be that "comprehensive", he does have some decent results from some big tournament stops, including the Heartland Poker Tour and in this exact event during last year's CPPT stop at Foxwoods. Mark would make a 13th place finish in that event and earn himself just under $1,700, a result he'll look to build off of and best here in Event 7, as he looks to take another Card Player Poker Tour trophy home to Keene, NH. We don't know what it is this series, but we've seen a handful of pocket Kings versus pocket Aces encounters through the first few events of the Card Player Poker Tour and while this could just be hindsight, nearly every time the player with pocket Kings has made it very clear that they were thinking of throwing their hand away pre-flop, but just couldn't bring themselves to doing it. 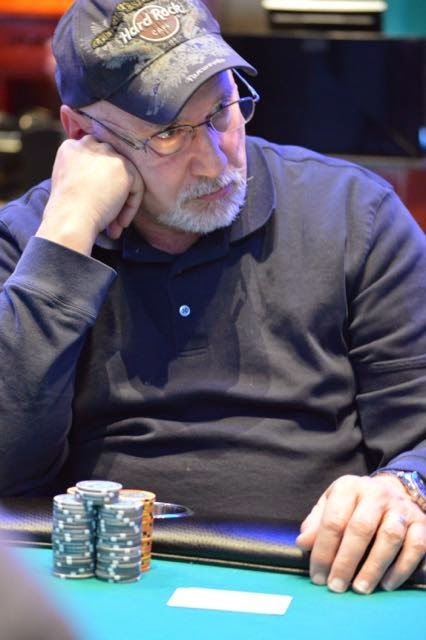 Ralph Macri was our latest player who wished he had just gone with his gut as he described his pre-flop encounter with Jen Barrile (Marlboro, MA) as "tense, like we were either going to kiss or she had pocket Aces and had me crushed." It was clearly the latter and the two got it all-in on a flop of [Ad][Kc][10c] with Barrile holding [Ah][Ac] and Macri holding [Kd][Kh]. It was a massive pot, something that is only really the case at this stage of a tournament with holdings as strong as sets, massive draws or the always entertaining Kings vs. Aces encounter. No one can usually get away from those big pocket pairs, especially pre-flop, but Macri almost did and would have been correct. Instead, nearly his entire stack is now sitting with Barrile who is playing close to 70,000 chips, more than double the chip average. 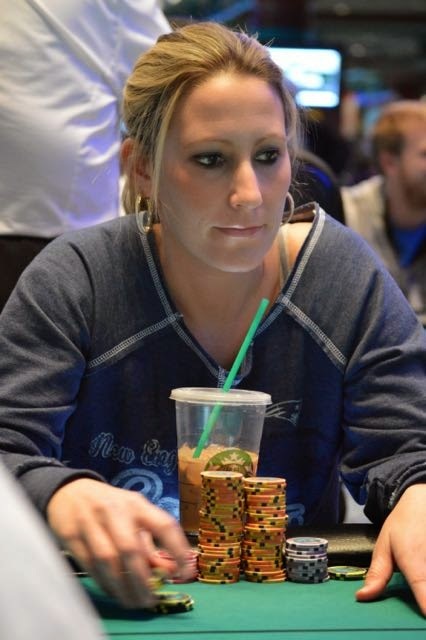 We've talked about Macri's Foxwoods resume a few times over the first few days of this series, but Barrile certainly can hold her own at the poker table, as she is a Foxwoods Champion with just over $50,000 in live tournament earnings. She's off to a fast start after the end of the late registration period and will be looking to continue to chip up and end Flight A strong and notch her first tournament score in 2015, something that might be in reach now that she looks like one of the biggest stacks in the room. The Event 7 field has just returned from their second break of the day and they will resume play with Level 9, more than halfway through this Flight A session, to a frozen field, as the late registration and re-entry period has closed with 216 players entering this $75,000 GTD starting flight. That means that the original guarantee on this event has almost been beating in just one of two starting flights and since we expect a similar field size for tonight's Flight B, that number should move over the $100,000 mark. For players that did not "survive" the late registration period, there are a few options throughout the rest of the day here in the Foxwoods Poker Room. First, you can fire into Flight 1B of the $75,000 GTD Event 7, which starts at 5 PM. Secondly, a "Mega Super Satellite" for the Card Player Poker Tour Main Event started just a half hour ago, with every satellite awarding close to 1 in 10 players a seat in the $300,000 GTD CPPT Main Event. "Mega Super Satellites" have been running every day throughout the CPPT series and will continue to run, starting every day at 3 PM until tomorrow February 5th. February 6th and 7th will see two "Mega Super Satellites" run, with those starting at 2 PM and 6 PM on the 6th and at 9 AM and 1 PM on the 7th. The third option for players, the daily turbo tournaments that are always firing off in the Foxwoods Poker Room and offer a small buy-in for big action. Simply put, there is always non-stop action in the Foxwoods Poker Room, especially today as we continue to play through Flight A of the $75,000 GTD CPPT Event 7. If we had know the group of players that would late register for Event 7 in the middle of Level 6, we probably would have held the "feature" table open until they got here, as it's a who's who of not only Foxwoods regulars, but some of the most successful players in the region. The four headlining players to this new "feature" table, Mike Nye, Nick Palma, Ryan Eriquezzo and Brad St. Vincent have close to 200 live rated cashes totaling nearly $2,300,000 in career lifetime earnings. 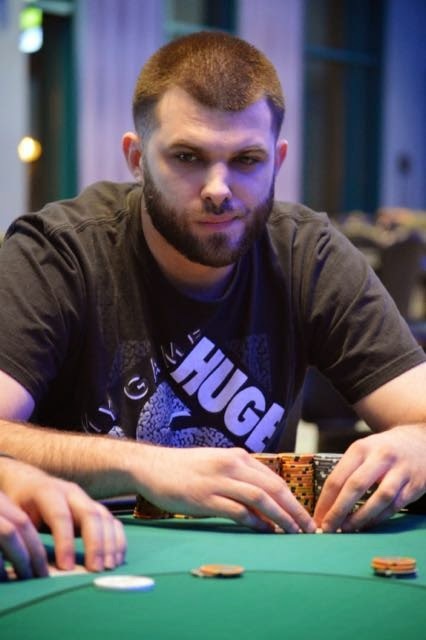 Eriquezzo makes up a majority of that career earnings, with close to $1,300,000, including a WSOP Bracelet, two WSOP Circuit Rings as well as Foxwoods and Borgata titles to his name. The rest, while they might not have the dollar value in terms of career earnings, are certainly keeping up stocking their trophies cases, as they have six Foxwoods titles amongst themselves as well as almost countless Foxwoods Final Table appearances. Nye leads that Final Table list with 16 and is also on the all-time cashes list, with 40 of his 67 total rated cashes coming in Foxwoods major tournament series. 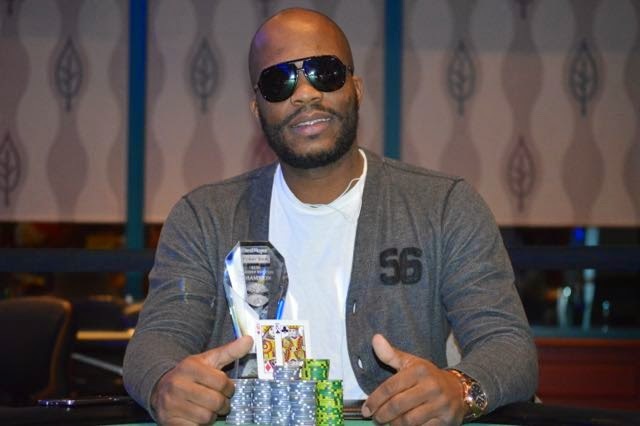 We saw Sherwin Agard improve his standing on that list by notching a cash last night in Event 5 and we wouldn't be surprised to see Nye add to his total, not only in this event, but throughout the rest of the Card Player Poker Tour series. It's unfortunate that this is a late registration table housing all these top Foxwoods players, as it has more of a Final Table lineup as opposed to a Level 6 of a starting flight lineup, but we'll keep an eye on this "feature" table until they unfortunately break and then keep an eye on all these players as they will all be looking to bag up chips here in Flight A. We've seen a slight decrease in the pace of entrants here through the first break of the day, but we are still trending upwards, with over 15 tables running and a few more waiting to house late arriving and re-entering players. Many of those tables are filled with Foxwoods "regulars", with some players being seen for the first time through the Card Player Poker Tour series here in Event 7. Johnny Rodrigues, Chris Leong, Je Wook Oh, Jake Vo, Robert Campion, Mark Perry and Daniel Lobel are all scattered throughout the tournament area, but the biggest name to make his first appearance of the series is the defending champion of this event, Joseph Nelligan. 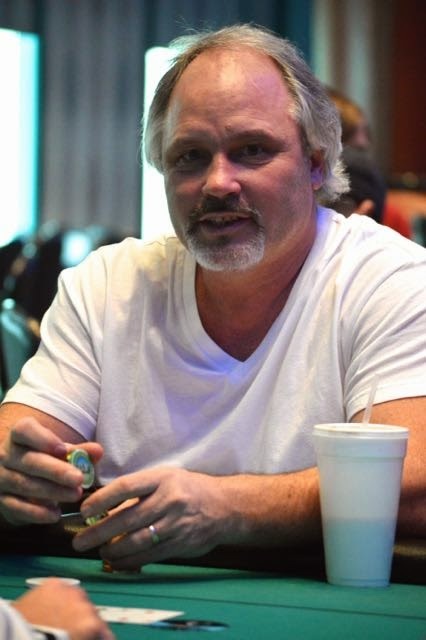 Nelligan earned the biggest score of his tournament career last year in this exact event, besting a field of close to 400 players to take home the title and close to $30,000. He's here to defend his title today and will certainly be a player to watch throughout this event. We'll continue to bring you updates from the field as we continue to play through the early levels of $75,000 GTD Event 7 Flight A. Players have just entered Level 3, putting an hour of Flight A in the books and leaving close to three more remaining in the late registration/re-entry period. We've already seen close to a 150 players take their seats to get a piece of this $75,000 Guaranteed prize pool and with a few plenty more time to get in during this flight and tonight's Flight B, we should see that number continue to climb throughout the day. As we play through the early levels of each flight, the updates from the Foxwoods Poker blog will concentrate on overall field size and highlighting some of the notables in the field, with the "meat and potatoes" of the coverage picking up after the late registration period closes. If you want to follow the action from our "feature" table, we are now streaming Table 1 live at foxwoodslive.com. After a few days in which multiple Card Player Poker Tour Champions were crowned, the trophies will stay in their cases today, as the focus of the entire Foxwoods Poker Room is on the multi-flight $75,000 GTD Event 7. This multi-flight starting day structure will follow the same schedule as Event 1, except with two Day 1 sessions, with the first about to start at 11 AM. The second flight, Day 1B, will start at 5 PM, giving players two chances to get into the action and get a piece of this massive prize pool. Each flight will see players start with 20,000 in tournament chips and will see players play 30 minute levels for the first three-quarters of Day 1, with levels increasing to 40 minutes in length after Level 12. Event 7 will offer players unlimited re-entry and late registration through Level 8 of each starting flight, giving players close to 4 and a half hours to get into the action in either Day 1 session. Both Day 1 sessions will end after Level 15, with players who "survive" each Day 1 to return tomorrow at 12 PM for Day 2. This is a "best stack forward" structure, meaning players that choose to play both flights and bag chips in both flights will play their "best" stack in Day 2 and will NOT forfeit chips for playing in both flights. The Foxwoods Poker blog will bring you live updates from the field all day and the live streaming "feature" table will go live around 12 PM. When this Event 5 Final Table came together, Teddy Geddes controlled nearly a third of the chips in play, but with the Final Table somewhat "tilting" towards the short stacks, as play went on eight handed for close to an hour and a half without an elimination, everyone started to lose ground on where they started, especially Teddy. At one point, he even found himself at the bottom of the leader board, but after a double up through Nick Palma, he never looked back as he regained the chip lead and held it all the way to the Event 15 championship, his first ever Foxwoods title, good for his biggest cash since his last major poker victory. That victory came last spring when Teddy won the $1,000 Main Event at Mohegan Sun's Spring Showdown, good for a $47,000 score, but for the Foxwoods "regular" this title will certainly mean a lot to him coming at his "home casino". Teddy and Nick Palma were the only two players at this Final Table with a decently sized rail and after Palma's elimination in 4th place, you could sense the rail knew the trophy would belong to Teddy, it was only a matter of time. Teddy will make just over $11,000 for his Event 5 victory, moving himself dangerously close to the $100,000 mark in terms of career tournament earnings. That concludes another day of Card Player Poker Tour action and we will resume both the live updates and the live stream tomorrow with two starting flights of the $75,000 GTD Event 7, with the first flight starting at 11 AM. Over the first fifteen or so minutes of heads up play, Andrew Lauer was chipped down and Teddy Geddes would control close to a 2:1 chip advantage. Lauer would eventually find himself with just over 10 big blind and after getting a few shoves through, Teddy would finally take a stand. Lauer would open shove the button and Teddy would nearly snap call, tabling [Kc][Qd]. Lauer held the immediate advantage, but would be more or less flipping holding [Ac][4s]. The board would run out [7h][2d][3d][9d][Qs] giving Teddy his pair on the river for the championship. Lauer would be fading over a dozen outs after the turn gave Teddy a four flush and his Ace high could not hold and get him back to a decent, workable stack. Lauer would graciously accept defeat and rightfully so, as he makes the second biggest tournament score of his career, earning just under $7,000 for his Event 5 efforts. Spencer Champlin flew under the radar for much of the day and this Final Table, as he was mentioned in the chip leaders posts a few times, but was always just there, hovering within touching distance of the top. We don't say that in a negative way though, as there were plenty of players who were on that list and dropped off well before this point and at a Final Table with steep payouts and some big jumps, being "there" is a good thing, because it means you're making more money while watching your opponents implode around you. While some players seemed to falter with a short stack, Spencer played his to near perfection, chipping up every few orbits to stay alive and not get "too" short. Eventually he'd just be outgunned though, as his short stack was tough to overcome against the giants of Teddy Geddes and Andrew Lauer, eventually getting it in with second pair on a board of [Qh][9d][5c], with Teddy tabling [10h][10c] trapping him for the win. Champlin certainly can't be upset with his Event 5 effort though, as he came in with one of the shorter stacks at this Final Table and managed to notch his first podium finish in his poker career and the biggest score of his career, making $4,500 for his third place finish. Geddes and Lauer are now heads up for the Card Player Poker Tour Event 5 title and there has been no talk of chopping this one up, as both players are nearly equally stacked and will be playing this one out to determine another CPPT champion here tonight. After losing a massive hand against Teddy Geddes a few levels earlier, where Teddy flatted a pre-flop open and called the shove from the blinds of Nick Palma, with Teddy showing up with [Ad][Ah], Nick Palma was more or less on the defensive for the rest of the night, rarely finding a playable hand or spot and he was eventually down to his final big blind and would move all-in from the button. Andrew Lauer would then raise from the small blind and Palma would be at risk, but only against one opponent, increasing the chances that his [Kc][Jh] would end up being good. He'd need to hit though, as Lauer held [As][9c], but it would be Lauer that would hit, as the board ran out [8d][6h][7s][2d][Ac]. Palma would quietly leave the table and the tournament area, taking his rail with him, visibly disappointed by the way the tournament finished. But, after starting the new year strong with good results at the PokerStars Caribbean Adventure and the Borgata Winter Poker Open, Palma has continued that to the Card Player Poker Tour, cashing in both events he's played and we expect that the best from Palma might be ahead of him this series, as he'll be a player to watch over the next few days as the "bigger" events take center stage. We are now three handed for the Event 5 title with Geddes and Lauer holding a sizable advantage over Spencer Champlin. Steven Murphy hasn't done much of anything since spiking a winning set to triple up and save his tournament life, but he's done enough to outlast the two other short stacks to earn just over a $1,000 pay jump. He'd get his final few big blinds all-in and get called by Spencer Champlin and he'd need to hit again to save his tournament life, as he held [Kh][5h] to Champlin's [Ac][6d]. He wouldn't hit, but Champlin would as he'd flop two pair to lock up the pot and the elimination. 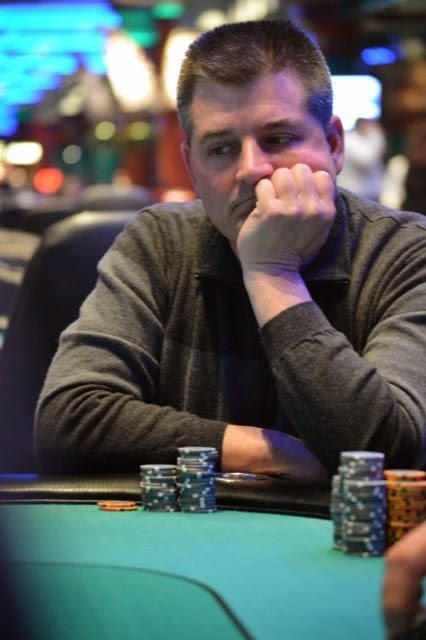 Murphy will be eliminated in 5th place, making just under $2,800 and Champlin has quietly brought himself back from being one of the shortest stacks at this Final Table currently sitting with just under 800,000 chips. There isn't much room to play for a lot of these short stacks and it's basically going to be a competition to see who can "ladder" up the payouts for the bottom three stacks here at the Event 5 Final Table. Almost immediately back from break, James Freebody (Westbury, NY) lost the "last longer" after moving all-in for just under 100,000 on the button. Both Andrew Lauer and Teddy Geddes would call in the blinds and check down a board of [5h][5s][5c][Ad][7c] and Teddy would table [8c][7s], which would be good enough to win the pot, besting Freebody's [4d][4h] on the river. Freebody would make just over $2,000 for his efforts, the biggest tournament cash since the summer of 2012 when he Final Table bubbled a Foxwoods Mega Stacks Challenge event. We were just about to head on break, but then another player would be getting sent to the rail as Michael Lavoie was again getting unlucky against Andrew Lauer. This time, it was Lavoie with [Kc][Ks] and Lauer, again, had [10h][10d]. Last time the ten came on the flop, this time it waited until the river to crush Lavoie as the board ran out [7d][7h][5c][Jc][10s]. Slightly kidding, slightly not, Lauer said after the flop, just loud enough for the table to hear, "I think it's coming." It came and in an alternate universe, on another day, Michael Lavoie is sitting with all the chips and the trophy, but after getting pocket Aces and Kings cracked in back to back big hands with Andrew Lauer, that would not be the case this time around, as he'd be sent to the rail in 7th place, making $1,774 for his efforts. We are also going to be coming back to Level 24, where the big blind with "cost" 30,000 chips, meaning that there are just over 100 total big blinds in play. 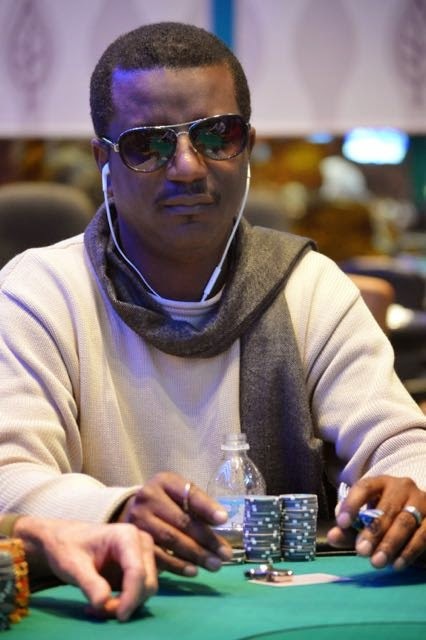 After close to an hour and a half play at this Event 5 Final Table we've finally lost one of our short stacks as Sherwin "The Fox" Agard (Randolph, MA) was finally sent to the rail in 8th place, after getting ground down to his final big blind. He would complete the small blind for less after Nick Palma raised from middle position and Palma was shocked to see himself in the lead, holding [5c][4s] to Sherwin's [4h][3c]. The board would run out [10c][7h][Kd][2s][5h] and Palma would be notching the elimination, sending the Foxwoods legend to the rail after he "couldn't shake the deuces" for the last two hours, basically saying that he was card dead for the entirety of the Final Table. 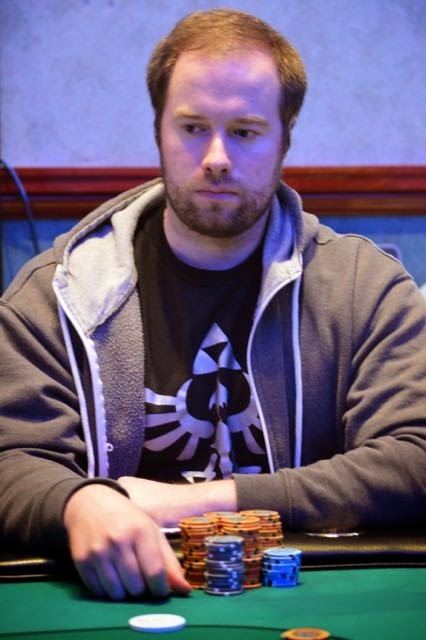 With this cash, Sherwin moves into into sole possession of 4th place in the Foxwoods All-Time Cashes list, a number he will look to improve on throughout the rest of the Card Player Poker Open. We are just a few minutes from the next break in the action, as players will be given a 10 minute break at the end of Level 23.